A pressure washer with boat detergent will do the trick. Before washing, remove the drain plug. Rinse the boat with water. Soap the boat in and out. Scrub the boat and rinse again. Let the boat dry completely inside before covering it for the winter. Tilt the bow of the boat up slightly to allow the wash water to drain after cleaning and to allow rain water to run off more easily if stored outside. Whether your boat is stored inside or outside, there are some things that should be done with the trailer. Raising the bow of the boat has already been mentioned. 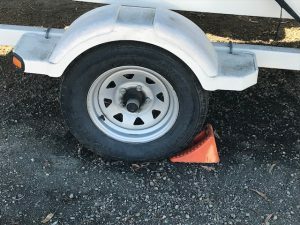 Its also important to block at least one wheel of the trailer. Its a good idea to block one wheel and the hitch. Because boat trailers move fairly easily moved on a trailer, blocking is used to reduce the risk of accidentally pushing the boat and trailer into another rig. Even if your boat is stored indoors or outdoors in a fairly secure place, a trailer lock is a good idea. This can be a cable locking a wheel or a hitch lock. Both types of locks can be removed with some effort, but no lock makes taking boat and trailer just too easy. 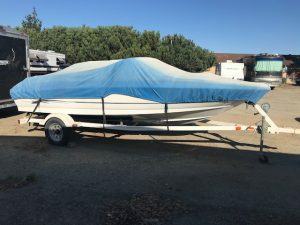 If you have access to your boat, while it’s being stored, its a good idea to open the cover from time to time allowing the boat to “air out.” If your boat is exposed to the elements during storage, condensation can form on the inside of the boat cover causing mildew to form on the cover and the boat interior. Whether you have an outboard, a direct drive or an IO, your motor should be prepared for storage. Its a good idea to drain the engine block on water cooled motors. This is a must in cold climates. Many newer models have easy disconnect hoses that allow for quick draining. Older engines have drain plugs on the bottom of the block. This can prevent sediment and rust from causing problems. 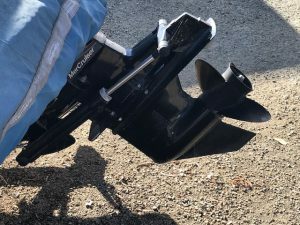 The lower unit on an IO or an outboard should be drained. Engine can be installed to prevent rusting if needed. Sewing machine oil can be placed on the cylinders of an outboard engine and worked into the cylinders to present ceasing. The IO unit should not touch the ground. This can prevent accidental damage if the boat is moved. But, the unit should not be left fully trimmed because of the tension put on the trim mechanism over the months. An appropriate additive should be used to preserve what gas is left over from the summer. Be sure to remove any equipment from your boat or any unattached pieces on the trailer. A bungee cord from one cleat to another under the IO unit can relieve pressure on the trim. Removing the battery and storing it in a warm dry place, off of cement, can prolong its life. Old (clean) shop rags can be placed over pointed edges on the boat to preserve the cover. 3/4″ PVC pipe can be used to build a stand to hold up the boat cover. Use your imagination. If you do lock your trailer, make sure that the storage facility has a key. A boat is a big investment. If it needs major cleaning or work when you are ready to fish, it becomes a big frustration. If you know how to winterize a boat and do it properly, the start of boating season will be much more fun. Share your thoughts winterizing boats in the comment section below. What works for you, will work for others. I really appreciate the detail you went into here with your tips for storing a boat. Growing up, I always helped my dad when it came time to winterize his boat, but I didn’t know all the ins and outs. I was curious if you had a list, or a suggestion as to what the best additive would be to preserve the remaining gas? Thanks for any help you can provide. Thanks for your comment. 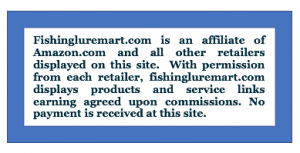 I will send over the names of additives I have used. 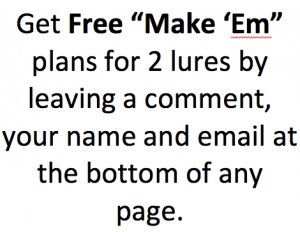 I didn’t put them in the article just in case my suggestion doesn’t work.